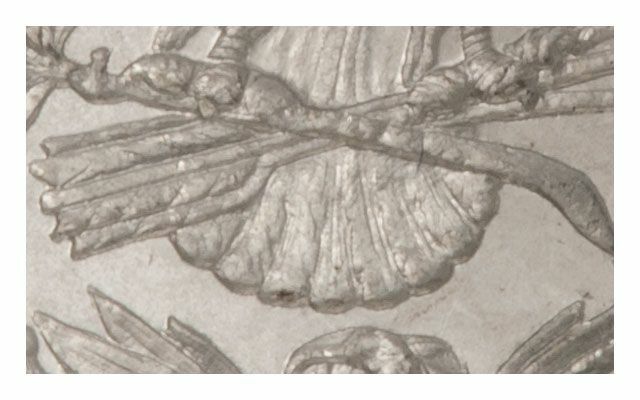 Originally, George T. Morgan designed it with seven feathers, then one more was added for a fuller look. 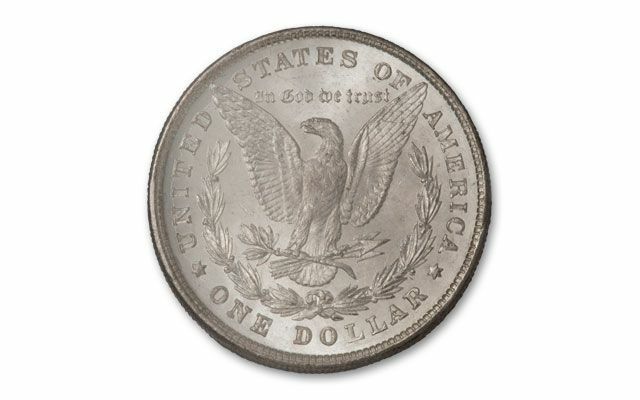 Later, the Morgan Silver Dollar was changed because bald eagles in fact have an odd number of feathers - so a transitional seven over eight feather design was issued. It would change yet again before the end of the year. 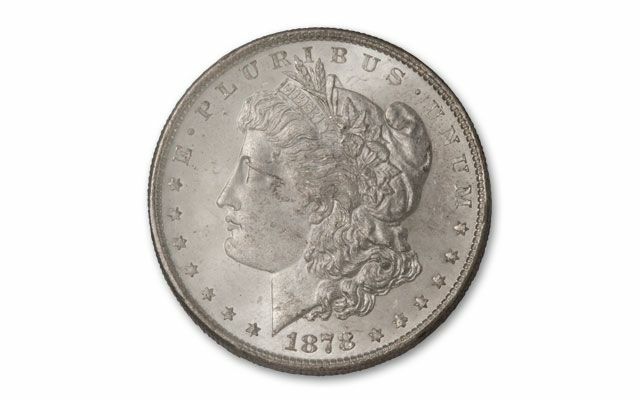 This 8TF design is popular amongst collectors because it had the lowest mintage of all Morgan Dollars in 1878. 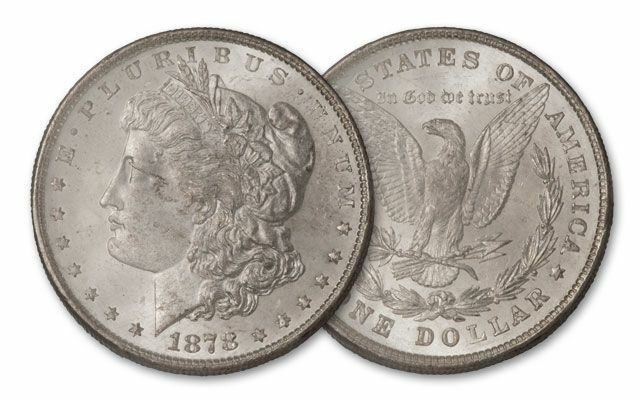 It’s also two firsts in one - a first year issue 1878 Philadelphia Mint Morgan Silver Dollar, and it’s also the first of three different reverse tail feather varieties struck during its first year. Each comes enclosed in a capsule housed in a deluxe presentation case, and includes a storybook. 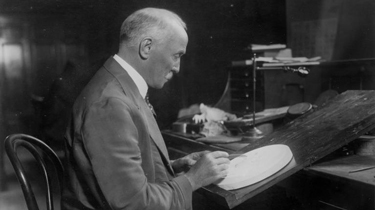 Our inventory is limited. Call now!